Welcome to Winchip Overhead Door Company. We are an established leader in garage doors and related services in East Central New York with locations in Saratoga Springs, Glens Falls, Latham, and Ticonderoga. Our partnership with industry leaders like Clopay®; LiftMaster®; and Genie®;allows us to provide not only top quality products, but expert installation and repair service as well. In addition to Clopay's vast selection of residential garage doors, we also offer a full line of commercial overhead and upward acting sectional garage doors, as well as a low-maintenance and energy efficient line of beautiful entry doors. 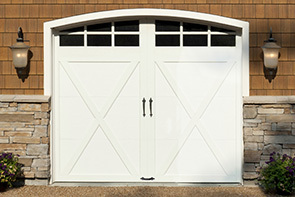 With 75 years of experience, you can be assured Winchip Overhead Door Company will meet your garage door needs. We are committed to offering you, the consumer, the very best products and services ranging from installation to garage door repair in Saratoga Springs, Glens Falls, Latham, Ticonderoga and the Greater Albany New York area. This commitment has been cornerstone of our success solidifying our outstanding reputation in the industry. Content copyright 2019. Winchip Overhead Door. All rights reserved.